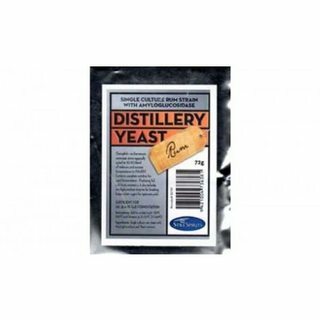 Aussiedistiller, Home Distilling, Moonshine, Home Brew • View topic - SS Rum Yeast...So have I sinned ???? Re: SS Rum Yeast...So have I sinned ???? I remember reading a rather bad thread on urea and the potential for explosion. Admittedly the potential was small as not much of the gasses were produced. It would be no more dangerous and the urea in garden fertilizer, yes it can be made to explode but then so can wheat dust/flour. The turbo yeasts used to have urea and then they removed urea was cheap removing urea made it more expensive and did not work as quick. There are toxicological concerns with the use of urea as a microbial nutrient and microbial nutrient adjunct for the manufacture of alcoholic beverages. The use of urea should be limited to exclude alcoholic beverages. There are no toxicological concerns with its use to manufacture concentrated gelatine solutions. Urea reacts with ethanol in certain situations to produce ethyl carbamate (urethane). Ethyl carbamate is genotoxic and has been found to be a multisite carcinogen in all species tested, including non-human primates. Well that seems like an excellent reason to not use it in distilling. They reversed the ban in some countries so i think there is a doubt seems to be legal in the United States . Last edited by rumdidlydum on Sat Nov 26, 2016 10:56 am, edited 1 time in total. That is most surprising as they will ban just about anything if it could cause cancer. They have even banned vegemite over there. Yet Monsanto chems are legal... It's more about money than safety in the states. I've used this yeast a lot. I like it. As far as people throw the word 'cost' around, it's bugger all. More flavour and aroma than bakers by far! Two thumpers, one or none. Interested in anyone else experience with the same product. Ive used it a few times in the past and its always produced a good drop. as long as you keep to the normal recipe and don't try to bump up the fermentable sugars content of your wash to get up to the 15% as stated on the packet. keep it under 10% and its good to go.